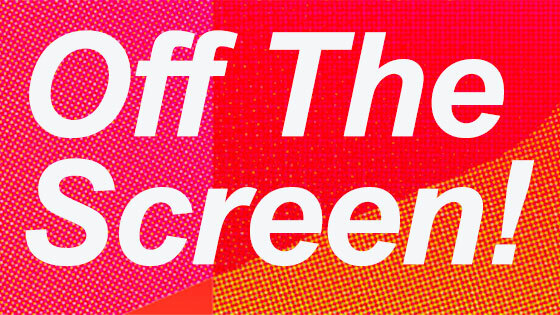 Event Type: Off The Screen! A group of four cranky shows with brief introductions, the shows are hand painted paper scrolls that either tell a story or have a music accompaniment of some kind. The shows are: "Everything in moderation, all at once," a seemingly endless chain of stream of consciousness drawings accompanied by an improvised vocal cacophony; "Rattlesnake Mountain," an illustrated ozark folk song; "Surprise, Surprise, you haven't seen everything yet," a comical cartoon series with musical accompaniment; and "Factory Sacrifice," an illustrated poem by Milwaukee's former poet laureate performed to Prokofiev.